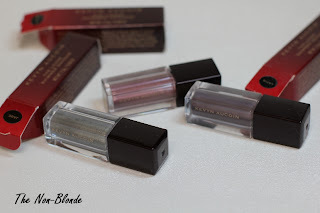 The new Loose Shimmer Shadows from Kevyn Aucoin are a quick and fun way to add a touch of glamour to just about any makeup look or just to brighten and open up the lid. 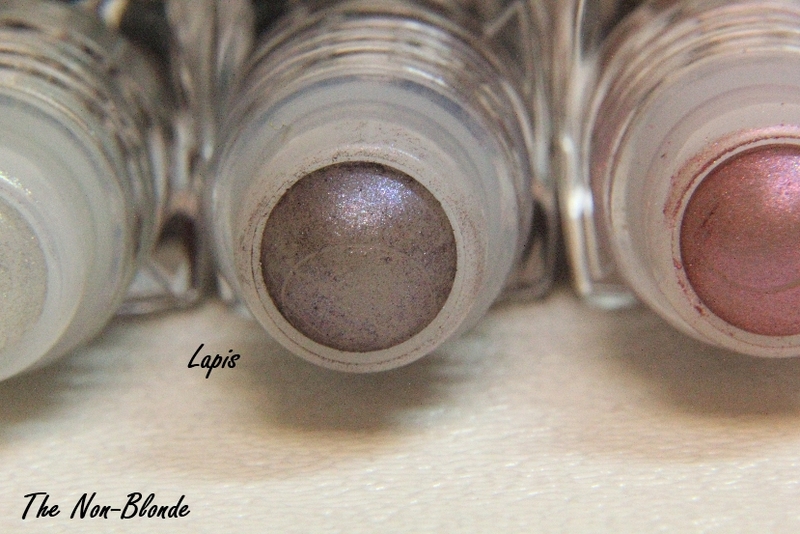 The Loose Shimmer eye shadows come in small roller balls bottles that hold a very finely milled shimmery pigment. There's no actual glitter, but these jewel toned Kevyn Aucoin eye shadows definitely have a high shine finish. The roller ball glides easily enough on the skin, but because we're talking loose shimmer here the powder doesn't always come out evenly, so you will need to a) start with a primer and, b) finish the application with a brush or your finger. A brush will create a a lighter veil and blend the color. 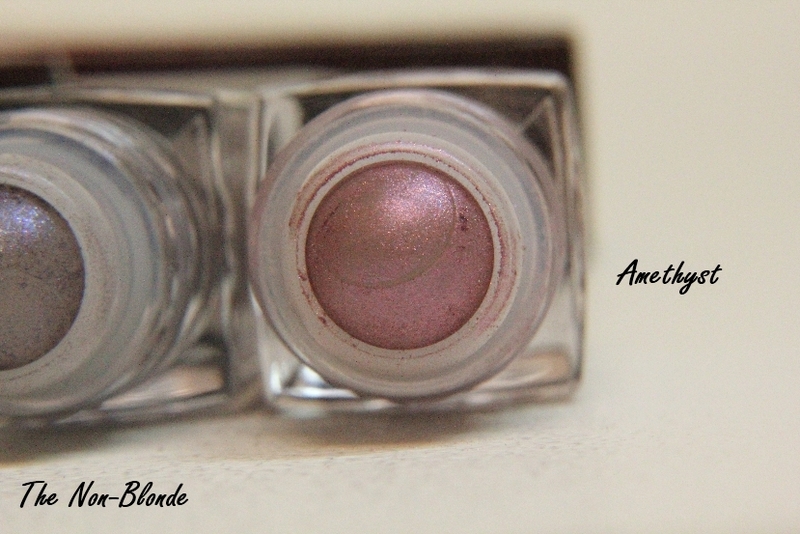 Patting the shimmer with your finger either in the middle of the lid or in the corner of the eye will give a more intense and saturated color/brightness. 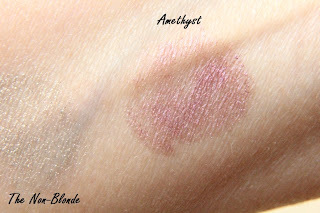 The loose shimmer also adheres nicely to a non-shimmer cream eye shadow (such as the Bobbi Brown Long Wearing ones). As long as you use a good primer/base and precise application the Loose Shimmer Shadows are not only long-lasting but also stay nicely put and don't scatter all over the face. I don't recommend using them over a regular powder eye shadow or over a naked lid, though. 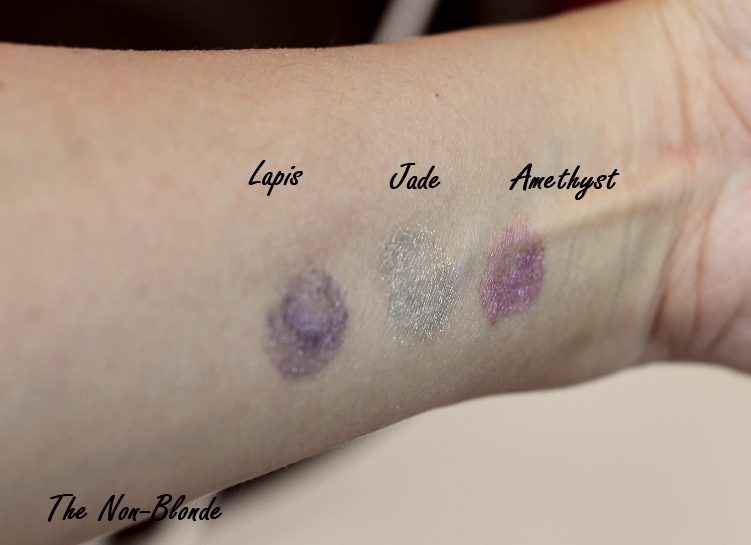 The colors I tried are Jade, Lapis, and Amethyst. 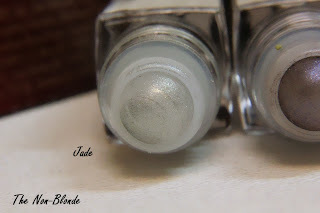 Jade is a silvery sage color, light and bright. I think it's the one I've been using most because it gives a striking effect. 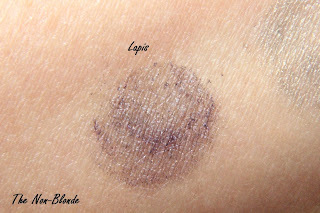 Lapis is a violet blue color that gives a flattering accent for brown eyes but I admit I hoped it would be more blue than purple. Amethyst is a beautiful mid-tone mauve that has a natural warmth and looks very pretty on the lid without adding too much drama. 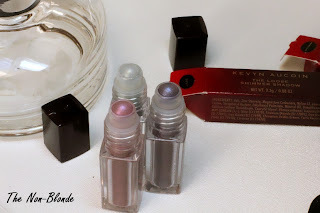 Kevyn Aucoin Beauty offers the Loose Shimmer Shadow formula in three other colors: Rose Quartz, Citrine and Topaz, but I have yet to try them. Kevyn Aucoin Loose Shimmer Shadow ($28 each) is available at Bergdorf Goodman and Barneys. The products for this review were sent to me free of charge by the company's PR.